SAN FRANCISCO (Sept. 20, 2018) — City Attorney Dennis Herrera announced today that he has filed a civil suit against construction engineering firm Santos & Urrutia Associates Inc., its principals, and several clients and contractors over an elaborate fraud scheme involving excavating under three San Francisco homes without permits. The scheme was designed to give the company a competitive advantage on cost and speed while circumventing required oversight, which violated a host of state and local laws. It also jeopardized the safety of construction workers, residents of nearby homes and the general public, according to the lawsuit filed today in San Francisco Superior Court. The illegal work undermined the foundations of at least three neighboring homes. Details of the fraud varied by property, but overall it included forged documents, an unlicensed contractor, outright lies to City agencies, and a dummy set of plans to trick inspectors, the lawsuit says. At the center of this web of deception was Santos & Urrutia Associates Inc. Besides naming the firm, whose website boasts the “speediest turnaround time possible” for projects, the lawsuit was brought against the company’s chief executive officer, Albert Urrutia, and its chief financial officer, Rodrigo Santos. Santos and Urrutia are both licensed engineers. Santos is a former president of the Building Inspection Commission, the public body responsible for ensuring that building codes are followed to protect life and property within San Francisco. Santos has also sat on the City College Board of Trustees and the City’s Workforce Investment Board. According to the civil complaint filed today, Santos’ and Urrutia’s decades of experience and familiarity with the Department of Building Inspection was used to circumvent regulation and oversight by that department and the Planning Department. That lawsuit names not only Santos, Urrutia and their company, but also the contractors that did the unlawful work and the property owners. The lawsuit covers three properties: 147 Marietta Drive, 457 Roosevelt Way and 601A Fell Street. The basic scheme was similar at all three. The property owners hired Santos & Urrutia to assist in adding lower floors to their homes by digging below the existing foundation. These types of excavations require extensive regulatory oversight to ensure they’re done safely. At 147 Marietta Drive the defendants used a contractor whose license had been revoked. When the illegal excavation was discovered, the defendants submitted an application for an emergency shoring permit listing another construction company that was actually not involved in the project. The defendants even included a photo of that company’s Cal/OSHA excavation permit to mislead inspectors into believing the work was being done by a properly licensed contractor. Additionally, the defendants submitted to building inspectors at least three falsified special inspection reports with forged signatures and forged engineer’s stamps from an engineer who never had any affiliation with the project. At 601A Fell Street the defendants submitted a set of plans to the Department of Building Inspection to remodel the kitchen and bathroom with no structural changes but then used a secret, second set of plans to add an entirely new floor and living space below the existing structure. At both 147 Marietta Drive and 457 Roosevelt Way the illegal excavation work undermined the foundation of the neighboring homes. The foundation of one neighboring home was undermined on Marietta Drive, and two were undermined on Roosevelt Way. The suit alleges the defendants violated San Francisco’s building and planning codes, the state law prohibiting unlawful business practices, and the state housing law (for endangering the health and safety of residents of nearby homes). The lawsuits also alleges the defendants created a public nuisance with unsafe buildings. 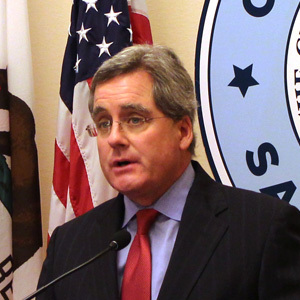 Herrera is seeking a court order appointing a receiver to properly repair the properties so they conform to the law; an order preventing the defendants from claiming any tax benefits for the properties; and disclosure to the City of all work the defendants are performing in San Francisco, among other requirements. Additionally, the City is seeking monetary penalties of up to $500 per day for each violation of the Building Code, up to $1,000 per day for each Planning Code violation, and up to $2,500 for each unfair business practice violation. The totals across the three properties could be millions of dollars.